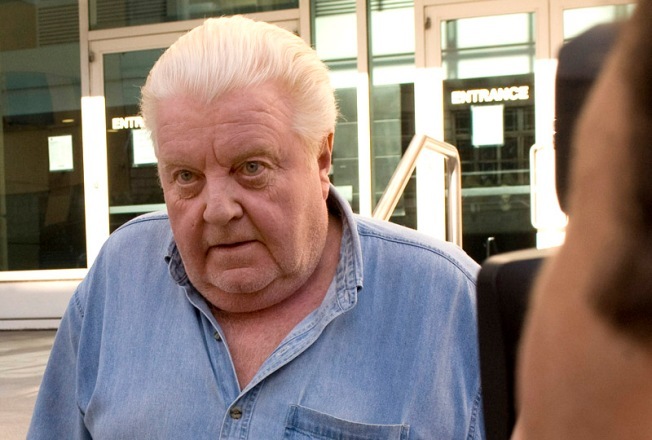 The police union has voted to pay for the defense of former police detective Jon Burge on charges he lied when he denied that he and detectives under his command tortured murder suspects. The Chicago City Council on Wednesday approved a reparations package for victims of torture under the direction of former police commander Jon Burge. The package, negotiated by city reps, the People's Law Office, Amnesty International, USA, activists and Chicago Torture Justice Memorials, sets up a $5.5 million fund to pay upward of 100 people who claim they were tortured by Burge, who was fired in 1993. Torture survivors deemed eligible by an arbitrator, could receive a maximum of $100,000 each. The proposed package would include a formal apology to torture victims, counseling services, and free enrollment for job training and courses at Chicago City Colleges. While the reparations agreement is historic, it may not go far enough. It would also be relatively meager effort by a reluctant city government that has already spent multiples more defending Burge, for decades. According to the People's Law Office, Chicago has spent more than $20 million to defend Burge and others implicated in torture allegations. The Chicago Reporter writes that the city has also paid $64 million in settlements connected to civil cases. The state of Illinois has also spent $1.6 million keeping torture victims who would later be exonerated, locked up. City councilman Ald. Howard Brookins of the 21st ward was quoted as saying the proposed measure "is quite plan and simple an ugly chapter in Chicago's history being closed." It most certainly is not. Though the work of the alderman and everyone involved in negotiating this proposal is commendable and important, it is a mistake to act as though police misconduct in Chicago is a thing of the past, or that a few million dollars, a few decades late can heal anything for victims or this city. Police misconduct in Chicago and elsewhere is rarely about isolated incidents. If John Burge were some type of outlier in philosophy or action, he would not have ever risen to the level of Commander within the Chicago Police Department. If violent police misconduct connected to severe miscarriages of justice were rare and seriously frowned upon by the police department and the city of Chicago, instead of a culturally accepted way of doing business, the city would not have spent more than $20 million dollars defending Burge, and we would no longer be paying the $4,000 a month pension to the man that we do, as he sits in comfortable retirement in Florida. Burge is far from the only bad cop that taxpayer money goes to defending, tooth and nail. In fact, according to the Better Government Association, "brutality-related lawsuits" have cost the city more than a half a billion dollars in the last decade, alone. Costs to defend Burge and members of his team only accounts for approximately 15 percent of that total amount. The BGA says that in 2013 alone, Chicago paid nearly $85 million in settlements, judgments, legal fees and related expenses. That is real money to a city in financial crisis, but it is just one more expensive facet of the corruption tax we all pay. More important than the financial strain is the real acceptance and support of police abuse that such defense money represents. The problems are not isolated, in Chicago, they are structural. Possibly giving men, some of whom spent decades in prison after being tortured into giving false confessions and are now in their sixties, $100,000 and access to an auto-shop class at a City College may be a sign of respect, but it is too little and too late to close the door on anything. Especially, while those same men still pitch in to pay the comfy pension of the man who tortured them.